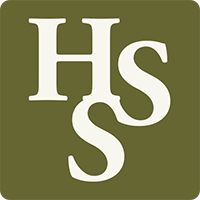 The History of Science Society is the world’s largest society dedicated to understanding science, technology, medicine, and their interactions with society in historical context. Over 3,000 individual and institutional members across the world support the Society’s mission to foster interest in the history of science and its social and cultural relations. Our annual meeting provides the opportunity for scholars and enthusiasts of science history to share their research. All of the information about our 2018 meeting in Seattle, WA is available on the site. Please create an account to access additional information or to submit an abstract. If you have an additional inquiry, please use the form below.